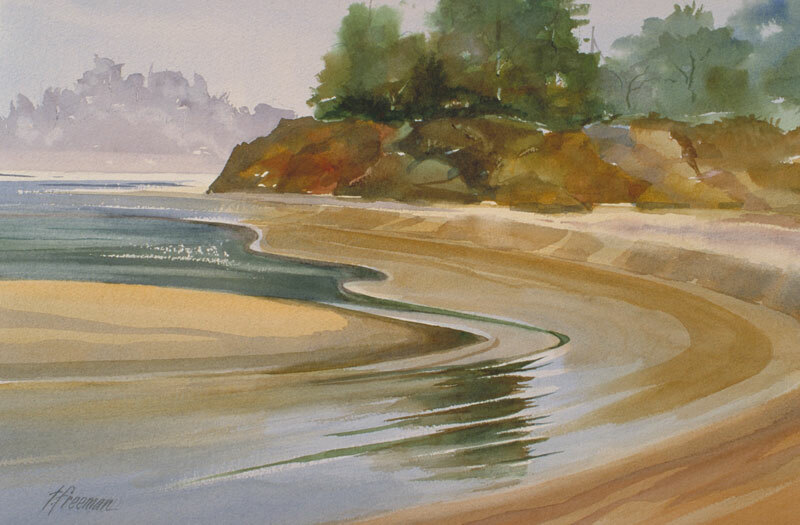 Thomas Freeman Original Watercolor Painting: "Little River Estuary"
Near the town of Little River on the Pacific Coast, there's a spot where the river and ocean meet in a tidal overflow area. It was a very unusual configuration of the water, sand, and the tree reflections in the light on the river. I did a quick sketch on the spot, and then turned it into a watercolor later at home.